This is one of several buildings we have on an Indian reserves across Canada. 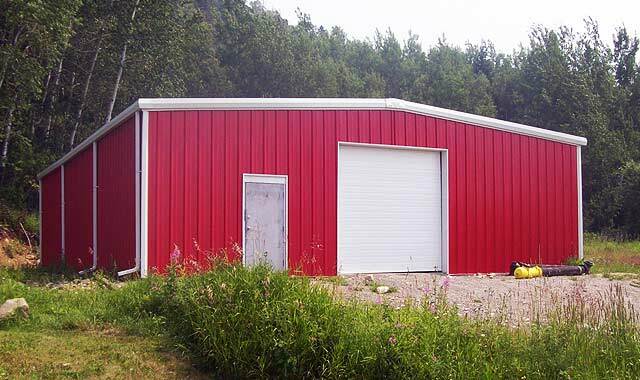 This one is a basic 40′ x 50′ x 12′ utility garage for Rocky Bay First Nation in Macdiarmid, Ontario. This is definitely one of our favourite colours – brite red.